Burritos and ice cream – the contrasting fortunes of two organisations and the difference between supply chain failure and success. Burritos and ice cream. Who doesn’t love them? Carne asada and guacamole. Chocolate and cherries. The combinations are endless, and so are the places that offer these tasty treats. So what can a burrito chain or an ice cream brand do to stand out from the crowd? 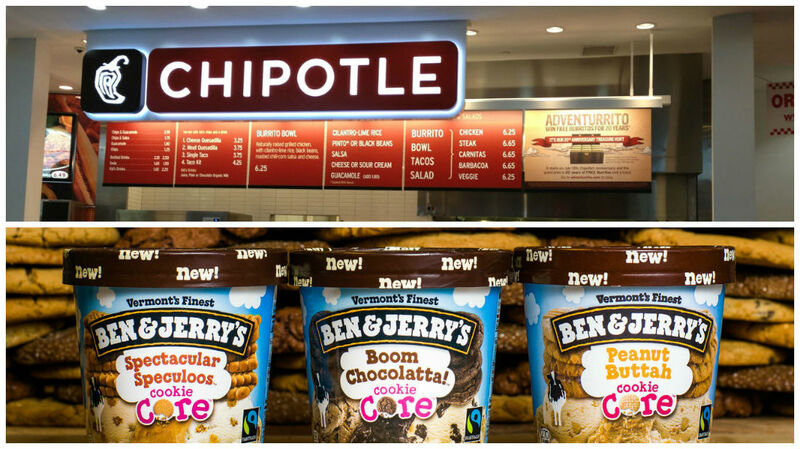 Chipotle and Ben and Jerry’s (known for burritos and ice cream, respectively) have both come to the same conclusion: leverage the supply chain and use it as a brand differentiator. They have decided to draw customers in with high-quality ingredients and a transparent supply chain. Chipotle and Ben and Jerry’s as brands have both become champions of local suppliers, fresh produce, and organic and non-GMO foods. However, if you’ve been watching the news over the past months, you’ve probably noticed one of these companies has been more successful in their mission than the other. Chipotle has been plagued by outbreaks of food-borne illnesses in the past few months, to the point where they shut down all their restaurants for a day to address food safety issues. As a result of these outbreaks, there have been calls for the chain to centralise their procurement strategy and source from large, well-known suppliers, rather than working with small farmers who may not adhere to as stringent food safety standards. Chipotle appeals to the coveted millennial market and a supply chain failure, and a failure to live up to their lofty supply chain goals, may have a severe impact on their brand value. Ben and Jerry’s has succeeded in the arena where Chipotle has come up short. After being sold to Unilever, a multinational corporation, Ben and Jerry’s received certification as a B-Corp, essentially a company that doesn’t allow board influence to sidetrack their CSR efforts. In their case, their parent company may actually be an asset rather than an obstacle as Unilever itself is also known for ambitious environmentally friendly initiatives. For example, the company has pledged to make a $90 trillion investment in infrastructure over the space of 15 years to build a sustainable economy and combat global warming. “Companies make up 60 per cent of the global economy. If they don’t play an active part, how can we solve this crisis?” said Unilever CEO Paul Polman. Procurement needs to play a central role in CSR efforts, especially when supply chain promises are a primary piece of the brand message. Procurement should be responsible for staying on top of current and potential suppliers, including second tier and beyond when possible, making sure they have the necessary qualifications to live up to your brand image. Procurement also needs to be ready to pivot to new suppliers quickly in response to any supply chain disruptions, whether they are result of illness outbreaks, drought, or changing government regulations. Where Chipotle failed, and failed big, was that it wasn’t just one outbreak — there were five in the space of six months. Even if they can’t be traced directly back to a weak link in the supply chain, rumours and public perception can still have damaging consequences. Of course, Chipotle isn’t the only company to have suffered from a supply chain failure. Read about a more extreme case here. Both Chipotle and Ben and Jerry’s have proven supply chain doesn’t have to hide in the shadows; there’s a place for it in the limelight. After all, now more than ever, people want to know where their food comes from. But from Chipotle we can see companies will suffer if they don’t live up to their brand promises. However, with proper alignment to business objectives and recognition as a strategic player, Procurement can help prevent this from happening. Hillary Ohlmann is the knowledge base developer at DeltaBid, easy-to-use procurement management software.